Yaz Krehbiel’s deep focus on the external world translates into mesmerizing landscapes. Highlands View 3, 2013. One of the nation’s most spectacular private gardens grows in Lake Forest at the aptly nicknamed “Camp Rosemary” under Kennetha “Posy” Krehbiel’s watchful eye. But when I ask Posy’s son, contemporary artist Yaz Krehbiel, if the garden, designed by Rose Standish Nichols in the 1920s, influenced his later love for painting and the outdoors, the answer is no. The arts, however, do run in the family. Krehbiel’s great uncle Albert Krehbiel was an accomplished American impressionist and a faculty member at the School of the Art Institute of Chicago for 40 years. He is best known—and loved—for winter landscapes, but Krehbiel actively avoided his influence and downplayed the familial connection while growing up. The parallels, however, are uncanny. In fact, it was during Krehbiel’s first summer of painting classes at the same School of the Art Institute of Chicago when he was initially introduced to painting outdoors during a landscape painting class. Although, it wasn’t exactly love at first sight. “Painting and drawing from observation were considered a pretty lame undertaking while I was at the School of the Art Institute, as it probably was at most art schools,” says Krehbiel. Krehbiel would later enroll at the California College of Arts and Crafts in Oakland and then work in Silicon Valley for a few years. But he found his way back to painting with a summer program in Umbria, Italy in 1997, and it was there that the landscape of the Tiber River Valley convinced Krehbiel to start painting from observation again. Now, Krehbiel paints almost entirely from direct observation of the landscape and finds the experience of close, extended looking and thoughtful response to be both a great challenge and also the most freeing experience. In this way, painting provides Krehbiel with an intersection of his interests in Buddhism, metaphysics, and beauty. A deep focus on the external world, according to Krehbiel, is a means to transcend the limitations of the self for a kind of awakening and a deeper presence to our experience. That possibility of transformation is a subject in both Krehbiel’s painting process and in the landscape subjects he chooses to paint. 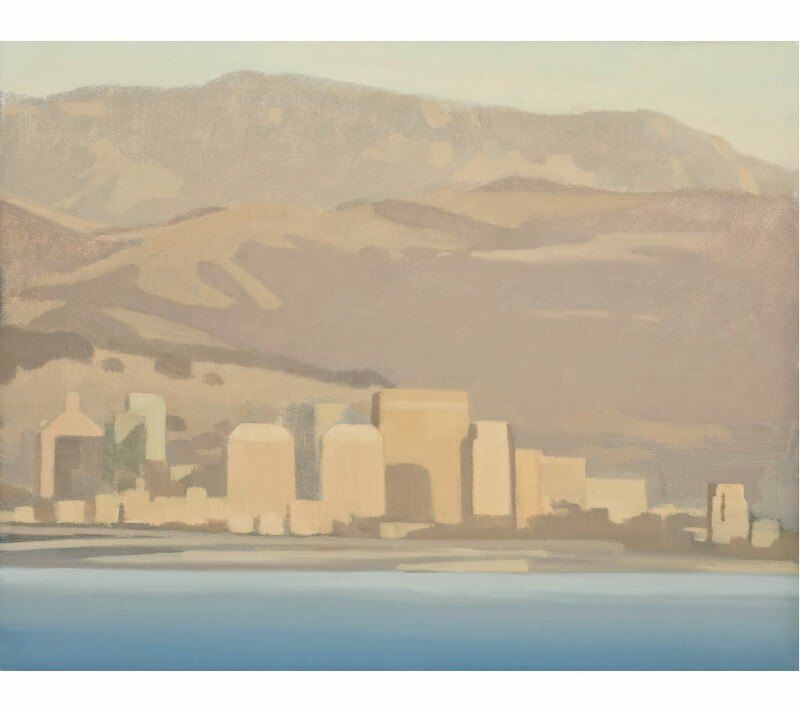 A few of his favorite personal works are the recent large Dawn paintings, which Krehbiel shares might have been his most accomplished work yet, like the Loma Alta #8 and the Loma Alta #14. He also highlights a series of Cloud paintings in 2004 and 2005 that he’s particularly proud of. 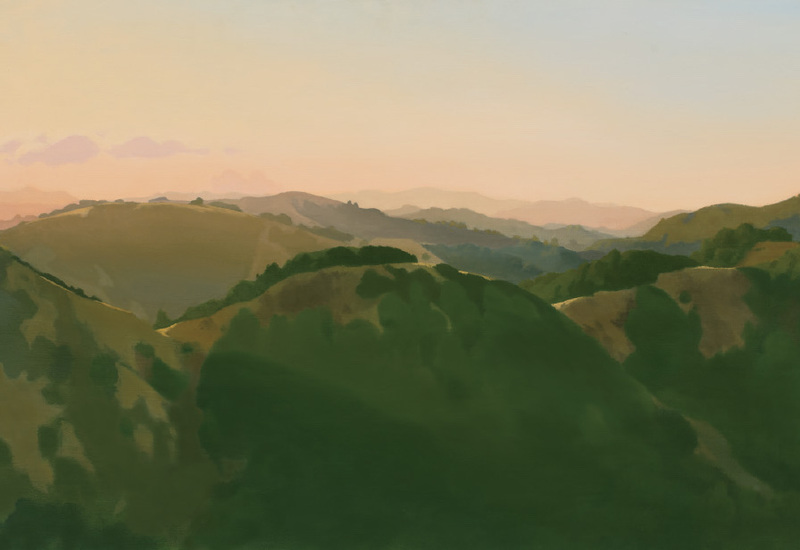 In fall 2018, Krehbiel had two exhibitions: Dawn Paintings curated by Stefan Kirkeby at Smith Anderson North Gallery in Marin County, California and Yaz Krehbiel, Slowing Time at Anne Loucks Gallery in Glencoe to launch Krehbiel’s new monograph, Yaz Krehbiel, Slowing Time. 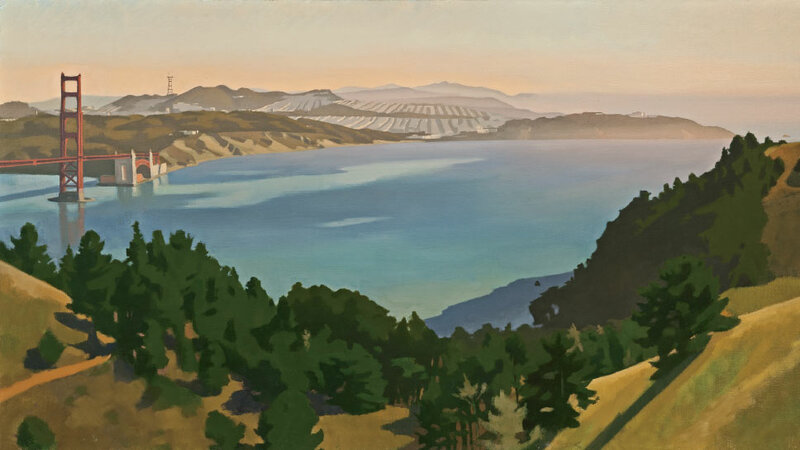 Dawn Paintings showcased six years of paintings depicting dawn in Marin. 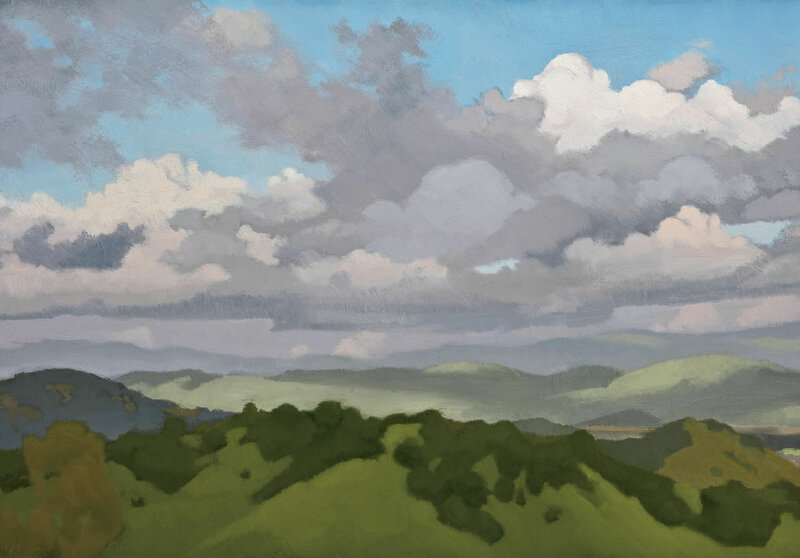 Krehbiel has actually been based in Marin County for more than 25 years after realizing in his 20s in San Francisco that all of the things he really liked doing, like exploring nature, were in Marin. “It’s a great place to be based as a landscape painter because I can work outside all year long, and there are several ecosystems that are entirely different,” he notes. That’s partly why travel is important to Krehbiel’s artistic process, and he makes a point to go on painting campaigns in new places. With three children, there’s been less of that in the last decade, but Krehbiel does hope to go on a painting trip to Ireland this summer. But we’d best take Krehbiel seriously. Recently, he released a new book Yaz Krehbiel, Slowing Time with Churchill Press, which traces his entire 26-year career as an artist. 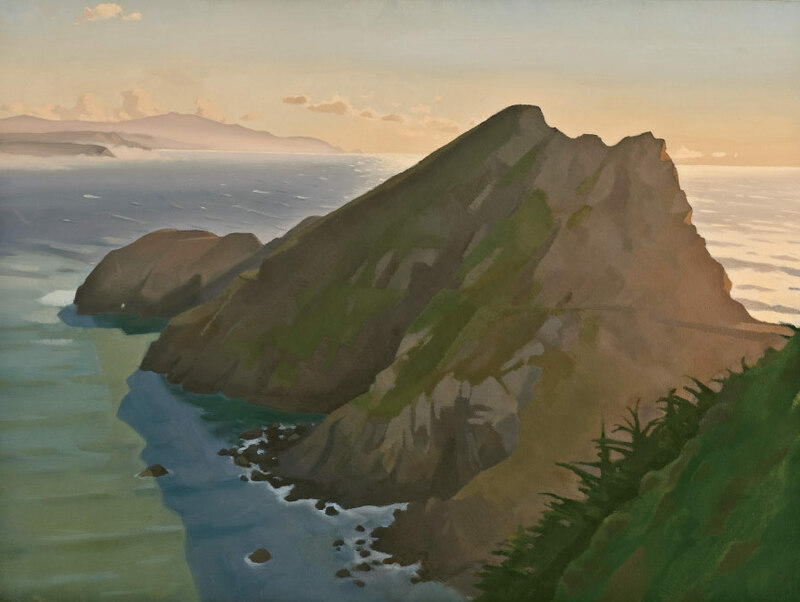 It’s organized by landscape themes, like hills, clouds, sea, travel, and dawn, and has an introduction from Brian Kennedy, director of the Toledo Museum and an essay by Irish curator, museum director, and artist Peter Murray. For more information about Yaz Krehbiel, visit yazkrehbiel.com. To purchase a copy of Yaz Krehbiel, Slowing Time, visit churchillhousepress.com.